It has been a productive week and there is a lot going on. In addition to work on various game projects, we are quietly working on a number of things behind the scenes. That includes updating our website and making it much more mobile platform friendly, posting Murmurs, updating our catalog, working with retailers and distributors, and making plans for the coming year. Books are blowing out of the warehouse so please keep the orders coming. We have a number of new titles in development now. I keep forgetting to post a link to an interview I (Kevin Siembieda) did with Matthew Lemke at Gen Con for Through Gamer Goggles. It’s a fun interview, offers a bit of Palladium news we have not yet revealed about an upcoming Rifts® product release, and you get a glimpse of how busy our booth was. The interview took place Friday morning. Rifts® Secrets of the Atlanteans™ Gold Edition, limited to 300 signed and numbered copies, has been shipping all week. If you have ordered one, it is on its way to you. Or may already be in your hands! The gold imprint of the magic tattoos on the faux black leather looks downright magical and classy. Very dynamic. As I have noted before, Rifts® Secrets of the Atlanteans™ and Nightbane® Dark Designs™ are flying out of the warehouse and we sold out 120 copies of Atlanteans™ at Gen Con by Saturday. That makes me believe the Gold Edition will be a fast seller, especially as Christmas rolls around the corner. If you really want one, I would order it over the next five months, before it is gone. Sold on a first come, first served basis. Early purchasers get the lowest numbers. 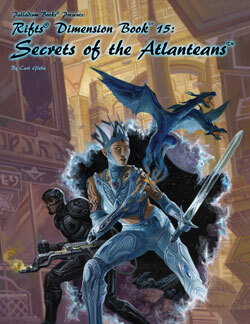 Rifts® Secrets of the Atlanteans™ is a hot seller. In fact, a fan who dropped by the Palladium office was rather wowed by it. He was surprised by the amount of new information and magic it contained. He promised to come back for it soon. He just needed to pick up a few crucial Rifts® Chaos Earth® titles for his Rifts® campaign first. He was also pleased to learn about the 2018 Open House and is excited to attend. FYI: Author Carl Gleba will be at the POH to game, sign books and chat. Note: Secrets of the Atlanteans should be hitting stores next week where it isn’t already available. Please take a look at the free preview on DriveThruRPG.com to get a glimpse of everything this resource-packed book has to offer. $24.95 retail. And if you don’t already own them, we highly recommend you pick up Rifts® World Book One: Atlantis, World Book 21: Splynn Dimensional Market™, and Rifts® Dimension Book 7: Megaverse® Builder (also written by Carl Gleba), as all are useful companions to Rifts® Secrets of the Atlanteans™. Please keep those orders coming. 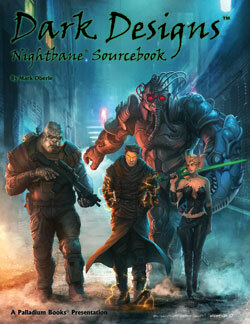 Nightbane® Dark Designs™, should be hitting store shelves next week with Rifts® Secrets of the Atlanteans™. Dark Designs is a dynamic sourcebook packed with information, Morphus tables, magical Talents (plus tables and Talents from prior books), the Ancient Nightbane and more. Remember, Talents and Morphus abilities can be easily turned into magic spells and super abilities for other world settings — and vice versa, made especially easy with the conversion rules in Dark Designs™. Take a look at the free preview on DriveThruRPG.com to get a glimpse of everything this resource-packed book has to offer. Author Mark Oberle is one of the 30-40 Palladium personalities attending the 2018 POH. Please keep those orders coming. 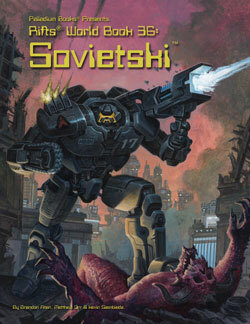 John Zeleznik – also planning to be at the 2018 Open House – sent in the finished cover for Rifts® Sovietski today. It looks great. I approved the cover concept sketch today. 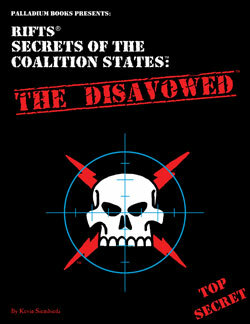 Art by E.M. Gist, the master of the macabre who has done all the zombie covers thus far. You’ll like it. The Rifter® #78 is coming along nicely. I believe Charles Walton and other artists are all done with the art for the issue. Now it’s time to typeset and layout. This is another great issue with a range of awesome source material for Palladium Fantasy®, Rifts®, Splicers®, and Beyond the Supernatural™, including Greg Diaczyk’s BTS Modern Necromancer, plus G.M. advice, news and other goodness. ALL of it adaptable to just about ANY game setting. See the updated description in this update. The Rifter® #79 should quickly follow #78 as we work to catch up with this useful series. 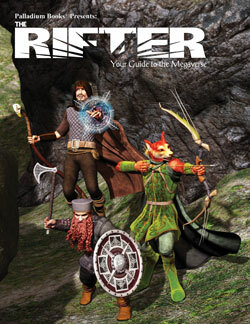 If you haven’t looked at an issue of The Rifter®, we recommend it. Each issue is filled with optional (sometimes “official”) source material. More importantly, most of the material can be easily modified and adapted to ANY game setting, especially adventures, monsters, villains, magic and technology. 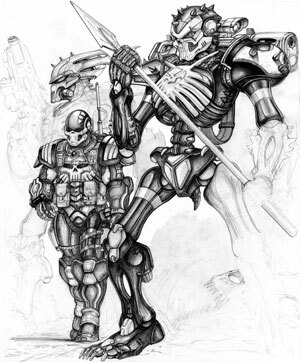 Don’t forget, we have made current Robotech® core RPG titles available as ebooks. Palladium Books’ Robotech®: The Shadow Chronicles® Role-Playing Game, Robotech®: The Macross® Saga Sourcebook, and Robotech®: The Masters Saga™ Sourcebook are now available as eBooks, with more titles to follow. Robotech® RPG titles are available from the following eBook channels/sellers: iBooks (through iTunes), Amazon Kindle, Barnes & Noble Nook, Google Play Books, Overdrive.com, Copia (copiaclass.com), Gardners Books, Baker & Taylor, E-Sentral, Scribd, Ciando, Hoopla, Playster, and more. Artists John Zeleznik (RUE art, Rifts® Japan and many covers) and Amy L. Ashbaugh (more of her fabulous work will appear in Garden of the Gods) are the latest to confirm they’ll be at the 2018 Open House! This is going to be a star-studded affair with creators like Jazzy John Zeleznik, Ramon Perez and Carl Gleba, who do not attend many conventions. It is very exciting for us, and we hope it is exciting for you, too. This is going to be an awesome event, so come on over and enjoy the fun at the POH even if it’s just for a day! Note: Tentative means they have reached out to tell us they hope to be at the POH, but cannot guarantee it at this time. VIP Thursday – April 19, 2018 (special): 3:00 PM doors open and you get first crack at limited editions, original art, new products, specialty items, and meet the Palladium staff and all available creators – 6:00 PM dinner – 7:00 PM Opening Ceremonies – 8:00 PM the evening’s games begin. Cost of VIP night is $95 (dinner included). Limited to about 100-120 people plus Palladium creators. Note: VIP Thursday always sells out fast, so we offer around 60% of the tickets now, and the remainder at the end of January, 2018. Cost: $95 (Thursday only). Hotels – Two to choose from. See more complete details in the online store description. $49.95 plus tax per night for a double (2 beds). $49.95 plus tax per night for a King (one large bed). 2. Hampton Inn and Suites – 734-844-1111 – Request the “POH” Group Rate. $119.00 per night plus tax for “double Queen beds” (that’s two queen-sized beds!). $129 per night for one “King Suite” – SUITE is the important part of this request – and it comes with one king bed and a pull out sofa, but PLEASE confirm that with the hotel. See more complete details in the online store description. Airport Note: The hotels and Palladium’s warehouse are 15-20 minutes from Detroit Metropolitan Airport (DTW) in Romulus, Michigan, near I-275. Detroit Metro is the airport you want to use. Rifts® Dimension Book™ 6: Three Galaxies™, written by Carl Gleba, offers new otherworldly locations, weapons, gear, spacecraft, O.C.C.s, alien races, monsters, adventures and even a living Demon Planet! It joins recent releases of the ever popular Rifts® Dimension Books: Wormwood™, Phase World®, Phase World® Sourcebook, Skraypers™ and Anvil Galaxy™, as well as Ninjas & Superspies™ and Mystic China™. Coming soon, Systems Failure™ RPG. Next week will see the addition of Rifts® DB 7: Megaverse® Builder™ by Carl Gleba and Heroes Unlimited™ RPG, 2nd Edition by Siembieda, with more to come. These are just some of the many Rifts® and other PDF titles now available on DriveThruRPG.com, plus many FREE previews of key book titles. More than 50 Rifts® titles are currently available, including the Rifts® Ultimate Edition, Rifts® RPG (1990), Rifts® Game Master Guide, Rifts® Book of Magic, Rifts® Adventure Guide, Rifts® Atlantis, Splynn Dimensional Market (more about Atlantis), D-Bees of North America™, Lemuria, the original Vampire Kingdoms and Vampire Kingdoms New Revised Edition, Rifts® World Book 28: Arzno™ (more vampires, TW items and mercs), Rifts® World Book 26: Dinosaur Swamp™, Rifts® World Book 27: Adventures in Dinosaur Swamp™, Rifts® Canada, Rifts® World Book 22: Free Quebec, Rifts® World Book 23: Xiticix Invasion™, Rifts® Australia™, Triax & The NGR™, Rifts® New West™, Spirit West, Lone Star™, Rifts® Psyscape™, Federation of Magic™, Coalition War Campaign™, Rifts® Juicer Uprising™, Rifts® South America 1 and South America 2, Rifts® China 1 and China 2, the original Rifts® Sourcebook One and Sourcebook One Revised, Rifts® Mechanoids®, Mindwerks, Coalition Navy, Shemarrian Nation™, Rifts® Bionics Sourcebook, Rifts® Black Market (one of my faves), Madhaven™, Rifts® Mercenary Adventures™, Rifts® Mercenaries, MercTown™, Merc Ops™, Rifts® Tales of the Chi-Town ‘Burbs (short stories by 13 writers), the rest of Rifts® World Books 1-32, Rifts® Sourcebooks, Rifts® Coalition Wars®/Tolkeen series, the Minion War™ series, and dozens of other famous titles. 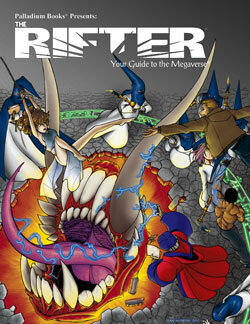 Check back every week to see which new PDFs of Rifts® and other titles have been added! Classic Robotech® PDFs include: The original Robotech® RPG (1986), RDF Manual™ (1987), Zentraedi Sourcebook™ (1987), Robotech® Ghost Ship™ (1988), Southern Cross™ (1987), Invid Invasion™ (1988), Robotech® ATP (1988), Lancer’s Rockers™ (1989), Return of the Masters™ (1989), Robotech® Zentraedi Breakout™ (1994), Robotech® New World Order™ (1995), and Robotech® Strike Force™ (1995), all available now. 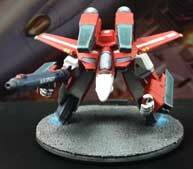 Plus all Robotech® RPG Tactics™ game cards and Paper Miniatures. FREE 12 highly-detailed, comprehensive Robotech® RPG Tactics™ assembly instructions for all the Wave One mecha and FREE Robotech® RPG Tactics™ color guides are available now. 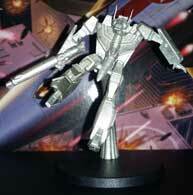 FREE Robotech® RPG Tactics™ paper game pieces, stat cards, rules and special items – with more coming. FREE Sneak Previews for Nightbane® Dark Designs™, Rifts® Secrets of the Atlanteans™, Rifts® CS Heroes of Humanity, and many other previews as well as free and low cost items that we make available. All of it adds to the growing list of Rifts®, Robotech® and other Palladium RPG game titles available as PDF books, cards and support. A new title should be added every week or two, so keep watching for them. The Rifter® #1-72. Each issue is a wealth of source material and ideas for several game lines, but most material can be easily adapted to ANY Palladium game world. Each issue a gem. Splicers® RPG is Iron Man meets Game of Thrones with elements of Terminator – except this army of Iron Men are clad in living body armor and wield living, organic weapons and devices. Created in 2004 by writer and game designer Carmen Bellaire, Splicers® was nominated for an “Ennie” Game of the Year award, and has since developed a rabid fan-base. Science fiction and horror where humans are forced to use genetically engineered, living weapons and organic war machines to battle an insane Artificial Intelligence and her robot legions. Unlike anything you have ever played before! Palladium Fantasy RPG® first edition rule book and sourcebooks. 2nd edition sourcebooks to come. Not your father’s fantasy RPG, this is a unique world of magic, monsters and heroes. Many nonhuman player characters and 50,000 years of history. Heroes Unlimited™ RPG first edition rule book and sourcebooks. Heroes Unlimited, 2nd Edition will be available by the end of September, with more HU2 sourcebooks coming. Create any type of superhuman. Nightbane® RPG. Superhero-horror set in a world of dark conspiracy where the monsters are the heroes. Trust nobody. Dead Reign® (Zombie Apocalypse) and sourcebooks. The dead have risen. It is the battle for survival in the zombie apocalypse, but this setting is much more than your typical zombie game. Play ordinary people or special characters better equipped to survive and hunt zombies. Many unusual types of zombies. Beyond the Supernatural™ RPG. Supernatural horror in the modern world. Play ordinary people, psychics or paranormal investigators. That’s it for this update. Enjoy Rifts®, Heroes Unlimited™ 2nd Edition, Robotech® (original series), The Rifter® and many other titles as PDFs from DriveThruRPG, and the new Robotech® RPG books as downloadable ebooks from Amazon and Apple iPhone/iPad for your mobile device. After the Alliance trade show two weeks ago, Wayne had caught some con crud, so he has been dealing with a really nasty cold. A couple days ago I started to feel a bit under the weather, so I figured I was coming down with the same thing. I powered through a rough day yesterday, and thought I was feeling somewhat better this morning. Anyway, this afternoon I had been pounding away at the keyboard writing when Alex came to my door with a question. I tried to answer but to my surprise, I had no voice! Just a hoarse whisper. I hadn’t spoken to anyone in hours, so I didn’t know. I was supposed to have a Skype business call Saturday, but I fear I will have to postpone it. Sheesh. Pushed myself a little too hard I guess, with long hours and working weekends. Then Palladium’s business manager called. I could barely squeak out a conversation. He was quite adamant that I go home to get some rest. I think he’s right, so I’m going to call it a day and get some rest so I can get back at it as soon as possible. Have good weekend. Stay healthy, happy and safe. And keep those imaginations burning bright. Another issue of source material for four or more Palladium game settings, most of which can be adapted to any game world. This issue has a nice hunk of material about the supernatural, such as the Modern Necromancer by Greg Diaczyk, a Beyond the Supernatural™ monster by Kevin Siembieda, City of Khemennu: Part Two (Palladium Fantasy) which is a city of gods and churches by Ian Herbert, plus G.M. Advice and the Splicers® Legion Aftermath. Shaping up to be another great issue. The Modern Necromancer for Beyond the Supernatural™ by Greg Diaczyk. 96 pages – $13.95 retail – Cat. No. 178. In final production. NEW! 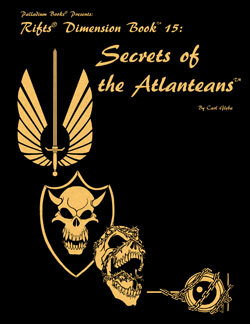 Secrets of the Atlanteans™ “Gold” Edition Hardcover – Now Shipping! $50.00 retail – 224 pages – written by Carl Gleba – Cat. No. 890HC – Now available! New! Nightbane® Dark Designs™ – Available now! $20.95 – 160 pages – Cat. No. 736 – Available now! Final page count and price yet to be determined, but probably 96 pages – $16.95 retail – Cat. No. 475. In production. 96 pages – $16.95 retail – Cat. No. 893. In production. Hot! 96 pages – $16.95 retail – Cat. No. 892. In production. $24.95 – 192 pages – Cat. No. 891 – In production. Size and price not yet determined, probably 96 pages – $16.95 (tentative) – Cat. No. 237. In production.